Pet parents looking for the best outdoor dog houses are greeted with a bewildering number of choices these days. The market has just exploded with options. The caveat is that it’s mostly teeming with fancy-looking gimcracks that you wouldn’t even want to touch with a barge pole, let alone allow your pooch to live in. If you look at the outdoor dog houses closely, most of them are mirror replicas of one another, making it nearly impossible to judge whether it’s worth the price you pay for them. That’s where we step in. Today, we demystify outdoor dog houses for you. We discuss the most important factors to consider before you narrow down on one. To top it off, we review the top 11 outdoor dog houses in the market for you. Our number one pick, is the Tangkula Weatherproof Outdoor Dog House. This is an extremely sturdy, all-weather outdoor dog house made of solid fir in an attractive, house-styled design. The tan finish with matching asphalt shingles make for a pretty addition to any backyard or patio. It comes with detailed instructions and all the hardware that you need for a quick, hassle-free assembly. Weighs 44 lbs. when fully assembled and stays rock steady even on windy days. This outdoor dog house comes with a raised floor that keeps it warm and dry in winters and cool during the summer. The Level-adjustable plastic feet allow you to maintain stability on uneven turf. Floor panels are removable, making it easy to keep the interiors clean. The Tangkula Outdoor Dog House is perfect for all weather conditions. It is roomy, easy to clean and low-on-maintenance. Stays dry and warm during summers. And you can easily layer it with a sleeping bag for the winters. You’d be hard-pressed to find a better choice. This outdoor dog house from Suncast features capacious interiors that can accommodate pets heavier than 70 lbs. This means that two or more smaller pets can easily share it. It’s made of tough, weatherproof resin and features a crowned floor that keeps it as dry as a bone even during torrential rain. During the summers, intuitively-positioned vents allow air flow, keeping your pet cool. The roof is removable and you can hose down the interiors to clean any messes. This also gives you easy access to the interiors, if you wish to insulate it during extreme cold weather. The doorway is 11.75" x 20.5" wide, allowing most canine breeds to easily walk in and out of the outdoor dog house. Suncast’s range of outdoor products uses an easy, snap-together assembly. This canine house is no different. You should be set up in no time at all. The Suncast Outdoor Dog House is testimony that the best outdoor canine houses need not always cost an arm and a leg. It is as sturdy as they come, aesthetic, safe and comfortable. Cannot ask for more at this price point. The Petsfit Dog House is a stunner. It comes with a little doggie porch for pets to rest when it gets too warm inside, and a window that allows them to keep an eye outside. Also, it keeps the house airy and cool during summers. Made of kiln-dried cedar, this outdoor dog house is perfect for all weather conditions. It can do with a coat of weather sealant though. A raised floor ensures that water doesn’t seep inside. And an openable roof makes it easy to insulate during winters. Floor panels feature slats that allow liquids to drain easily. These are removable too for a quick rinse. If you have dogs that get restless inside closed or confined spaces, then this one fits the bill perfectly. It is available in four sizes. This large outdoor dog house from Boomer & George features a porch deck for impromptu sun basking and naps. Made of kiln-dried fir in a natural stained finish, it looks every bit like a rustic log cabin from the woods. A wide opening allows easy access for the pets and there’s a window that keeps the interiors bright and airy. The floor is raised 5-inches above the ground and this more than suffices to keep the house protected from the elements. The dimensions of the large-sized house are 67” width X 31” depth X 38” height, which also includes the porch deck. So, ensure that you buy the right size for your pet. This cabin styled outdoor dog house is perfect for pets up to 50 lbs. The porch deck is a neat addition to a well-rounded feature list. The Arf Frame Dog House is one of Pet Squeak’s bestselling models. We can easily see why. It’s made of naturally-stained cedar and comes with the soft aroma of freshly harvested cedar wood. Cedar is natural weather & insect resistant. So the house is not treated with toxic chemicals. Unless you plan to install it outside in an area with heavy rainfall, it can do without chemical treatment for a few years. The house is very easy to assemble and is as sturdy as a rock after assembly. The interiors stay dry even in heavy rain. But you’d have to line it with insulation in extreme cold weather. It is available in three sizes. The Arf Frame Outdoor Dog House is perfect for homes with small and medium-sized yards. The compact footprint allows you to move it indoors too, if need be. This Dog Club House from Trixie is made of weatherproof pine in a natural stained finish. It looks amazing and is a cinch to assemble. The door is off-centered which gives your pooch a cozy nook to snuggle in. It features a slanted roof towards the back, that can be lifted upwards for maintenance tasks. A removable roof mat on the roof keeps bird-stains at bay. The floor is removable as well for cleaning, and this makes it very easy to insulate the house for winters. The outdoor dog house comes in four sizes. The large one is well suited for dogs above 60 lbs. weight. In fact, there might be ample room to accommodate a second pup or cat, in addition to your large dog. The interiors dry thanks to the height-adjustable feet that keep the house elevated from the ground. The Trixie Dog Club house is a great buy at this price point. It might not be as durable as our #1 pick. But with some elbow grease (insulation and weather staining), it should tide through extreme weather with ease. This outdoor dog house from Boomer and George is large enough for two rambunctious medium-sized pets looking to share a home. Even better, it comes with an optional center partition to separate the interior into two rooms if need be. You can always remove this and turn it into one large room for one dog instead. The house is constructed from fir and is sturdy enough to brave extreme weather. (Needs to be insulated for winters) We particularly liked the cream stain with the white trims. Looks amazing. There’s a covered porch in the front for doggie naps in the shade and it has a raised floor that keeps it dry. Entry and exit is a cakewalk thanks to two wide doorways. By the way, the roof panels are real weatherproof asphalt. The Antique-styled dog house is a great pick for two dogs. As always, we recommend that you measure the dimensions and compare it with the size of your pets before ordering. Another beautiful and functional dog house from Petsfit. This is a very spacious house with enough room for two small to medium-sized pets. Made of cedar, it features a pleasant, stained finish with white trims. The raised-floor design keeps the floor from getting wet and there are four plastic feet that allow you to adjust the level of the house on the uneven ground. The house has a heavy duty slanted roof that can be lifted upwards for cleaning and laying the bedding. The gas struts are a well thought out addition that makes it easy to lift the roof and use both hands for cleaning as you don’t need to hold it. The floor is removable as well. But there are tiny gaps in the slats that either needs to be caulked or sealed to prevent cold drafts in winters. Serves the purpose during summers though. This is a classy-looking pet house, well suited for dogs of all sizes. It’s roomy, easy to assemble and easy to clean as well. You can’t really go wrong with this option. The Giantex Plastic Dog House is a lightweight option for pet parents who prefer a portable option. One that can be moved to a different part of the yard or carried indoors if need be. It’s completely waterproof and made from tough Polypropylene that is resistant to extreme weather conditions. An elevated door keeps water out and also offers some degree of protection against snow on the ground. You’d still have to line it with insulation for the winters though. For the warmer days, there are vents for air flow. The house features an A-frame styled roof, which allows runoff. It can be detached (not removed) for cleaning. On a positive note, the entryway is really wide and you can easily hose the interiors without crouching on all fours or having to remove multiple screws to detach the roof. The Giantex Dog House is a good choice for pet parents looking for a temporary or portable fixture. Don’t let ‘Plastic’ in the description fool you. This is as sturdy as they come. This log cabin from Precision Pet has a rustic, traditional design that will compliment your yard or patio décor. It is constructed from solid cedar and coated with a weatherproof sealant. The aroma of fresh cedar is unmissable as you unbox the house. But it dissipates in a while, in case you have a fussy pet that refuses to use the house. Assembly is a simple three-step process that does not take more than a few minutes. The house stands on four feet which elevate it off the ground and keep it stable on bumpy turf. A large off-centered opening allows your pet to walk in and out easily. Unfortunately, there’s no other way (removable roof and floor panels) to clean the house. That’s not a deal breaker though as the opening is wide enough to let you clean the interiors easily. The Precision Petmate Weather Resistant Log Cabin comes with a 12-month guarantee that makes it a no-brainer choice. If you have any skepticism, rest it aside and give this beautiful outdoor dog house a try. This Dog Palace from ASL Solutions will pique your interest if you hate insulating dog houses manually. It features foam-insulated walls and a heated floor-mat which will keep your pets warm even in biting cold. If you feel that it’s still not warm enough, then ASL throws in a Heater cord portal on the rear side that allows you to add a doggie-heater to the house without the risk of the dog chewing on the cord. No more fiddling with blankets and insulation while crouching on the ground. The ASL dog palace also features a swinging, insulated door that will seal out cold drafts. Construction is thick, weather-proof plastic and it comes with a lifetime warranty against cracking and breaking. This dog house from ASL Solutions is rightly called a ‘Palace’. It provides a roomy, warm and comfortable haven for your dogs on cold winter nights. An outdoor dog house can be your dog’s private den that it retires to, after a day spent enjoying the sun and the wind. It should be comfortable and spacious. At the same time, it should also protect them from the vagaries of the weather. So, you need to consider a few key variables before you narrow down on one. It’s not uncommon for manufacturers to label outdoor dog houses according to the size of the dog. For example, suitable for medium-sized canines or small breeds and so on. But rather than selecting a dog house based on breed-specific descriptions, it’s always a safer bet to grab a measuring tape and measure your pet the old fashioned way. There must be enough room inside the outdoor dog house to allow your pet to lie down (fully stretched), sit, stand and nest (turn in circles before they lie down). Measure your pet pooch from the tip of their tail to the tip of the nose. Now measure their height from the top of their head to the bottom of the feet. Add a few inches to both these measurements to account for the extra room needed for your dog to move about comfortably. If you plan to accessorize the house, account for the extra space needed for them. While checking the size of the outdoor dog house, also check the size of the doorway. Your canine buddy should be able to enter and exit the house walking with their head upright (without crouching or crawling). That’s it. You should have a pretty good idea of what size house will work best for your pet. Select a dog house based on the type of climate prevalent in the area. And always anticipate both winters as well as summers. If you live in an area with warm, tropical weather the year round, select a house that’s airy and cool during the summers and stays dry during the rains, like the Suncast Outdoor dog house. If the temperatures get really low or if it snows annually, then select an insulated house like the ASL Solutions Deluxe Insulated Dog Palace. If you are not looking to spend as much for an insulated outdoor dog house, get the dog indoors during inclement weather. A lot of pet parents also ‘tweak’ their outdoor dog houses to make them more weather resistant. For example, a layer of caulking in the gaps between the floor slats will keep cold winds out. A thick layer of straw (not hay) on the floor will be the perfect moisture resistant insulated bedding. Placing it in a covered patio offers protection from extreme winds and snow. Solid Wood is hands down the most popular material for outdoor dog houses. It can be stained or water painted to match your home or your patio décor. It is sturdy, reasonably priced, easy to work with and aesthetic. Like our top pick, the Tangkula Dog House. The top choices are Cedar, pine and teak, although a custom teak dog house will cost a pretty penny. Wooden houses can last a lifetime. However, they do demand timely upkeep. You must weatherproof it with a sealant from time to time, as well as keep an eye out for signs of rot and mildew. Wooden houses also tend to be more permanent fixtures as compared to plastic houses. Plastic tends to evoke mixed reactions from pet parents. There are some who feel that it’s a flimsy material. That’s far from the truth. Polypropylene that’s typically used to make outdoor dog houses is a very sturdy and resilient material. It requires less maintenance than wooden houses. Not to mention that it’s more cost-effective, like the Giantex Plastic Dog House. Metal houses tend to have sharp edges and often cause injuries that your pet can do without. There’s so much more to the design of the outdoor dog house than the shape and the finish. An off-centered door for example, allows your canine companion to rest in a corner of the house away from wind precipitation during winters. If you live in an area with low temperatures, this is a feature that should top your list of requirements. For example, the club house from Trixie pet products. A slanted roof towards the back or sides directs rainwater and snow away from the entryway and the canine house is more likely to stay dry even during rains. Tongue-in-groove construction keeps cold drafts out. A raised floor will keep the floor warm during winters and prevents the wood from getting wet during rain. As an added bonus, it might also keep crawlies out. Height adjustable feet will keep the house stable on any kind of surface. No matter how good the doggie house looks in pictures, always check the build quality. If it’s made of wooden panels, are the floor panels thick enough to support the weight of the dog? If you have a pet that loves to chew, is the house sturdy enough to withstand incessant chewing attempts? Are there gaps in the panels that can potentially leak during heavy rain? Is the roof sturdy enough to support snow load? What about the hardware and joinery used to assemble the house? The longevity of the house depends on how well it's built. And we’ve seen some of the most expensive outdoor dog houses crumble away with just months of use. Last but not least, the dog house must be easy to clean and maintain. A removable floor allows you to collect any dander, dirt and fur and dispose it away from the house. An openable or removable roof will make it easy to clean the interiors and insulate the house during winters. If you hate cleaning the dog house with one hand, look for an openable roof with gas struts instead of hinges. Some barebones outdoor dog house models do not have these features. In this case, ensure that the entryway is wide enough to clean the house or change the bedding. To sum this article up, we can’t recommend the Tangkula Weatherproof Outdoor Dog House enough. If you create a checklist of the important factors that we just mentioned, the Tangkula Dog House fits every description to the T. Go for it. You surely won't regret it. 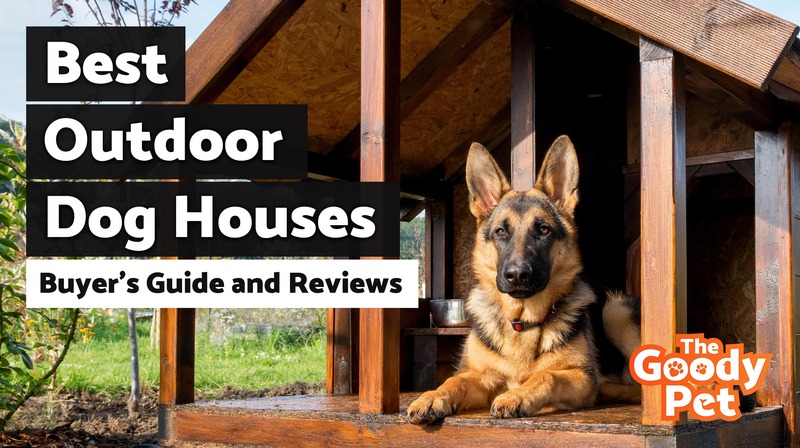 While selecting the best outdoor dog houses, think about them as an investment in the safety and comfort of your pooches. Do not cut corners and make an informed decision taking all these factors into account. Get tons of great dog training tutorials, canine gear guides, hot news about the latest doggy discounts, & more - all delivered to your inbox! 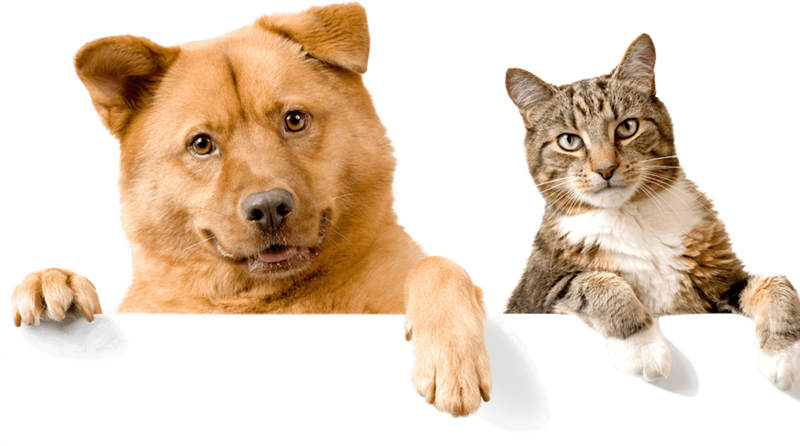 Get the latest news on pets! Delivered straight to your mailbox. We may earn a small commission for our endorsement, recommendation, testimonial and/or link to any products or services from this website. Your purchase helps to support our work and to allow us to continue our passion on writing on pets!